WiseGuyReports.com adds “Global Digital Badges Market 2018-2022” reports to its Database. Digital badges are increasingly being used in applications in the CBE sector. They are basically used to demonstrate the skills of students. The concept of digital badges has gained traction in the education sector and is gaining popularity among teachers. Schools across the world are increasingly using digital badges in the form of micro-credentials for the professional development of teachers. The global digital badges market in the higher education sector is expected to witness a steady growth during the forecast period. Based on the end-user segment the digital badges market can be segmented into higher education and K12. During 2017, the higher education segment accounted for the major share of the digital badges market in education sector. Factors such as the stringent demands from employers and the increasing number of students enrolling for higher education, will contribute to the growth of the digital badges market in higher education segment in the coming years. Technavio’s analysts forecast the global digital badges market in education sector to grow at a CAGR of 31.30% during the period 2018-2022. The report covers the present scenario and the growth prospects of the global digital badges market in education sector for 2018-2022. To calculate the market size, the report considers the revenue generated from the sales of digital badges in education sector. Technavio's report, Global Digital Badges Market in Education Sector 2018-2022, has been prepared based on an in-depth market analysis with inputs from industry experts. The report covers the market landscape and its growth prospects over the coming years. The report also includes a discussion of the key vendors operating in this market. Ensemble Investment Corporation to enable world virtual currencies exchange technology. 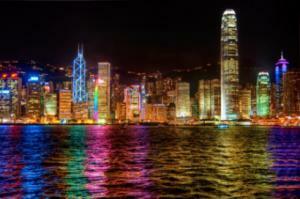 HONG KONG, CHINA, December 29, 2017 /EINPresswire.com/ — The proposal of decentralizing currencies marks the beginning of the virtual stage of human history in the virtual currency network. However, among the traditional virtual currencies headed by bitcoin, the investment risks will also increase greatly due to the high unit price of monopolism in the later period. Based on this phenomenon, Ensemble Investment Corporation was started. Since the launch of the Ethereum project in 2015, countless investors are beginning to pay attention to this important area. In 2017, Ensemble Investment Corporation started the sales and marketing of the Ethereum Union(ETU), staging a limelight in development of the world virtual currency market. Ethereum Union evolves from concept of Ethereum. Ethereum Union was established as a new virtual currency created by one of the most professional financial management team in the world at this stage. Not only is it capable of avoiding the risk of world financial fluctuations by itself, ETU will also become a benchmark for online trading currency, and due to the decentralization of related concepts, research and development. At the same time, the ETU cryptocurrency, developed by utilizing the technology such as contract wallet, not only can realize the seamless connection with other currencies, but also can exchange the payment function in a faster time. Therefore, ETU will also become the only currency in the of Ethereum system. With the support of a series of high-tech enterprises, Ensembles Investment Corporation has succeeded in achieving a perfect transformation, as its uses Ethereum’s regional blockchain scalability for major companies to provide data encryption, financial services, etc. 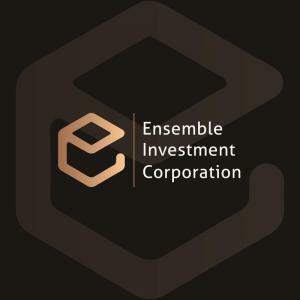 Being a member of the Ethereum enterprises, Ensembles Investment Corporation mainly provides technical services for large enterprises; its own ETU has become the main stream in the channel of technology and related services in large-scale Companies. 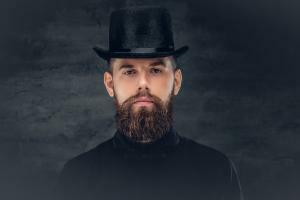 This very unique design concept shall make Ensembles Investment Corporation’s ETU stand out in the virtual currency legacy, especially between the major companies. Based on this phenomenon, many investors are also beginning to see the future direction of Ensembles Investment Corporation. In the operating system of the company, the future output will inevitably be reduced, but for the investors, this being considered non-renewable resources which will inevitably become an asset in the Cryptocurrency Exchange in the future. Thus, with the emergence of Ensembles Investment Corporation, expect investors to flock to the market and quickly popularize the ETU, fulfilling their prediction that in a matter of 10 months, the price of the ETU will rise 50 times over. MANAMA, BAHRAIN, December 28, 2017 /EINPresswire.com/ — Virtual Reality or VR is one of the most remarkable and fastest-growing technologies in the present day. Over time Virtual Reality has become an increasingly familiar term but for many the nature of this technology may still not be obvious. VR is a computer generated, three- dimensional environment offering a synchronized, orchestrated experience that can be explored and manipulated. A person experiencing a VR program becomes a part of this virtual world and is able to interact with objects around them and even perform a series of actions. This ability to be immersed in the environment and interact with it creates a sense of presence for the person, and this is where the terms immersive technology and realism come in which are the defining characteristics of virtual reality. This sense of presence is exactly what makes the VR an ideal contender for its role in education as an advanced technology. With this heightened sense of belonging in an environment, it is easier to learn, explore and store information. Compared to passive learning methods and conventional visual aids, VR technology not only provides graphic memory but also sensory memory – the reasons VR is referred to as an experiential learning technology. To demonstrate the potential of VR in education, Google Expeditions have been taking millions of students on virtual tours worldwide. 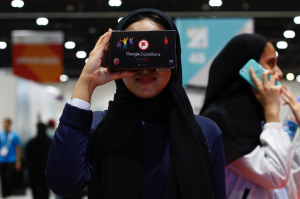 In the Middle East, Munfarid Consulting and Google Expeditions have been working together to introduce VR as an education technology in classrooms. Taking the efforts one step further in 2018, Munfarid has taken it up to conduct a million Expeditions in schools in the Middle East as part of VRXOne Go-to-School program so that the teachers and students together can explore the potential of this technology within their classroom environment. The students will be able to experience the VRXOne kits in their classrooms and give a first-hand review of their virtual tours. Munfarid is a Bahrain-based innovation company offering consultancy in immersive AR/VR/Ai technologies to government, non-governmental and corporate sector organizations. Specializing in providing incisive learning strategies, operational management and customizable AR/VR/Ai aided performance solutions, Munfarid has showcased VR technology at various platforms throughout this year – Worldskills Competition 2017, Bahrain Entrepreneurship Week, Education Experts Conference, Edutech Middle East 2017, Seedstars MENA 2017, to name a few. Having successfully served over 2 million students across different countries, Google Expeditions has already been creating success waves during its Pioneer Program. More than the fact that students have shown great excitement to experience the technology, Expeditions have remarkably strengthened their learning abilities and information retention level by providing an immersive environment for exploration and inquisition. Where on one hand, students get to learn more comprehensively than any conventional method could offer before, Expeditions also help teachers teach better by igniting students’ natural curiosity and getting them interested in their lessons. 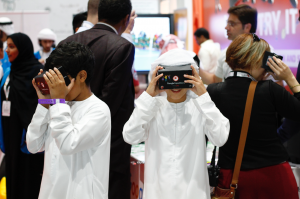 This is what’s in store for Middle Eastern students next year, when they will be able to go on exciting immersive, virtual journeys without even leaving the premises of their classrooms. Since the way Expeditions work differs from showing mere photos or videos as the students have to turn their heads and eyes to view scenes, students will actually get to “experience” their lessons and learn according to their natural inquisitive tendencies. This is a great opportunity for students as well as institutes to be able to take part in this program by VRXOne where Google Expeditions share their copyrighted content with a million students completely free of cost. This is indeed a huge step forward for Middle East in education technology bringing the institutes closer to the government’s vision for implementation of advanced and modern technologies within learning and development. The year 2017 itself has been indeed very promising for VR as the spending on the technology has doubled up from $6.1 billion in 2016 to $13.9 billion this year. Virtual reality headset sales are actually projected to double every year until it reaches a saturation point around 2025. The app for Google Cardboard has been downloaded over 10 million times and the total number of virtual reality users is expected to reach 171 million by 2018. The worldwide VR software and hardware market size is expected to reach a whopping $41.5 billion by 2020. These are huge statistics for VR technology promising significant developments and bright future for the technology just round the corner. It will be exciting to discover and document the effectiveness of VR in classrooms during the VRXOne Go-to-School program in ME, as the future mainstream education technology. Everything that JAC Achieved this Past Year. 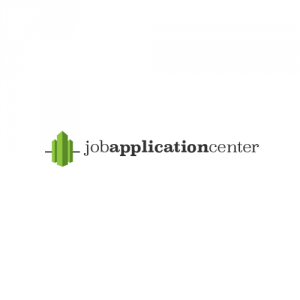 BOSTON, MASSACHUSSETS, UNITED STATES, December 28, 2017 /EINPresswire.com/ — Now that the year of 2017 is coming to an end, it’s time for JobApplicationCenter.com to celebrate its accomplishments. These mostly pertain to matters of increasing domain authority due to citations and sourcing, granted by JAC’s status as an expert site in its field, and one of the employment databases in the niche. 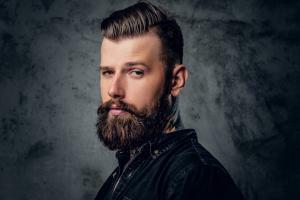 One of the website’s proudest achievement is having researched the perception of employment completed by a visual aid on job applications for millennials. This was quickly picked up by high-authority sources such as FoxBusiness.com and CheatSheet.com. Their articles have received over 1,000 shares across various social media platforms. And more than 720 individual websites have cited Job Application center as a reliable source of information in 2017. This provided the website with quality exposure, which in its turn brought in a new wave of users well within its target demographic. Job Application Center thus enjoyed success among more visitors than ever which improved conversion and retention. The users have also found an irreplaceable source of useful information and much-needed help navigating the job industry, so 2017 was a win on all sides. JAC was more accessed than ever over the course of this past year. •	https://jobapplicationcenter.com/subway-application/ – a comprehensive guide on how and when to apply for a position at world famous fast food chain Subway. Job Application Center has managed to stay completely free in 2017 as well. In fact, users don’t even need to sign up to create an account on the website to browse the information on it. This has been made possible by JAC’s ‘word of mouth’ approach, which encourages page visitors to share it across their social media or even recommend it to their friends verbally. The website also took pride in offering $1,000 student scholarships, an amazing educational opportunity for young people in the United States of America. By doing this, Job Application Center encourages the youth to get the necessary levels of education for fulfilling a successful career path. JAC has been a worthy ally for the future of young people in 2017, and it will continue to be all the way through 2018. By providing its audience with exciting and reliable opportunities, this database will continue to grow even more than before. For information and guidance on how, when and where to apply for jobs at America’s top employers, such as Forever 21, McDonald’s, Taco Bell, Old Navy, Walmart, Home Depot, Bed Bath and Beyond, and many, many more the site will grow stronger in 2018. Job Application Center is not a listing website where one can apply for certain positions. Instead, it is a database of almost all major U.S. companies, complete with valuable information on their internal policies, as well as the employment opportunities they offer. It’s useful for both people looking for entry-level jobs, as well as those seeking out management positions. More often than not, JAC also provides its users with downloadable application forms, and if that is not possible, there will always be a link to another website which accommodates this request. The event presents an opportunity for educators, analysts, and investors to learn about trailblazing new technologies to transform education. PALM BEACH GARDENS, FLORIDA, USA, December 28, 2017 /EINPresswire.com/ — The National Future of Education Technology Conference (FETC) announced 12 promising education technology startups who will participate in the 2018 FETC Pitchfest, a competition allowing educators and a panel of judges to determine the hottest tools and resources coming to the EdTech market. Partnering with Arc Capital Development, FETC will identify and showcase the next generation of innovators, allowing these startups to share their cutting-edge products and services with a community of more than 10,000 professionals representing districts, schools, and classrooms. 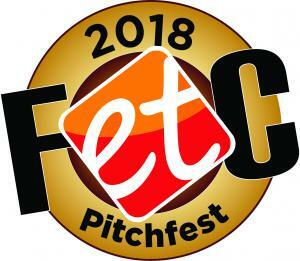 The FETC Pitchfest has developed a reputation for being the ideal opportunity for industry analysts and investors to discover innovative new companies, investigate participants’ product offerings, and engage directly with the founders and creators. It is the only event where participating companies represent the best-of-the-best startups nominated by industry accelerators. Participating startups of the FETC Pitchfest will have five minutes to present and up to three minutes to answer questions from the judges. The unique panel of judges includes superintendents, administrators, and CIOs selected from a broad range of backgrounds in education and technology. The winner will be determined by the judges and audience polling. FETC’s 38th annual event will take place January 23 – 26, 2018, at the Orange County Convention Center in Orlando, Fla., and will feature more than 600 expert-led learning opportunities along with an Expo Hall that will have more than 400 exhibiting companies presenting solutions in 3D printing, robotics, assessment, software, and much more. Another important section of the Expo Hall will be the Startup Pavilion, where attendees can discover emerging companies, demo original products, and meet the entrepreneurs whose innovation is changing the marketplace. In combination with the Startup Pavilion, the Pitchfest demonstrates FETC’s commitment to recognizing and highlighting the best new solutions in education technology. •	3DBear (http://3dbear.io) ― This Finland-based company provides a full classroom solution for teaching with the help of 3D printing, augmented reality, and virtual reality. •	5 More Minutes Ltd (https://www.teachergaming.com) ― This company, based in Finland, will present their TeacherGaming solution, which elevates learning by combining quality games, ready-made lesson plans, and learning analytics into one package to make game-based learning accessible to all. •	Agents of Discovery (https://agentsofdiscovery.com) ― This Canadian company will present their educational platform and mobile game that uses the latest innovations in augmented reality and interactive learning to facilitate play, thinking, and problem solving. •	CAPIT Learning (https://capitlearning.com) ― This Los Angeles-based group will present CAPIT Reading, a teacher-led, language-agnostic, foundational reading curriculum for K-2 students and older struggling readers. •	CatchOn (http://getcatchon.com) – This company, based in Hong Kong, has created an easy-to-read dashboard that streamlines data and presents powerful information to show the most-used apps or favorite apps, quickly. •	E4Effort (https://e4effort.com) ― This Minnesota-based startup will present their system that is used to increase student effort and motivation by measuring and reporting effort in four categories: Ready, Participation, On Task, and Behavior. •	FuzePlay (https://fuzeplay.io) ― This company, based in Utah, develops tech toys that close skills gaps by inspiring play around futuristic technologies. •	Learnmetrics (https://learnmetrics.com) ― The Chicago-based company has developed a fully customizable dashboard designed to help organizations turn learning data into a ‘GPS’ for their goals, operations and outcomes. •	Orange Neurosciences (https://orangeneurosciences.ca) ― This AI-based tech company from Canada has developed an SaaS based cognitive platform, ReadON, a remediation designed to reduce or eliminate the need for supplemental accommodation in school and provide better outcomes for students with learning differences and Dyslexia. •	TippyTalk (http://www.tippy-talk.com) ― This Ireland-based company’s technology allows a person with a verbal disability to communicate by translating pictures into text messages, which are then sent to a family member or caregiver’s phone. •	Weird Enough Productions (https://www.weirdenoughproductions.com) ― This Georgia-based company combines education on media literacy with original content to provide a full service solution to media misrepresentation. •	Wibbu (http://www.wibbu.com) ― This company, based in the United Kingdom, creates digital resources for schools, including the new language learning video game, Ruby Rei, which uses the latest techniques in game-based learning to improve engagement levels, test scores and English language learner integration. Registration is open for the 2018 Future of Education Technology Conference. For additional information and to register, visit fetc.org/register or call toll-free 1-800-727-1227. Learn more about the FETC Expo, including the Startup Pavilion, Pitchfest, and exhibiting companies at www.fetc.org/expo. 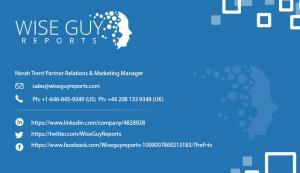 WiseGuyReports.com adds “3D Animation Software Market 2017 Global Analysis, Growth, Trends and Opportunities Research Report Forecasting to 2023” reports to its database. 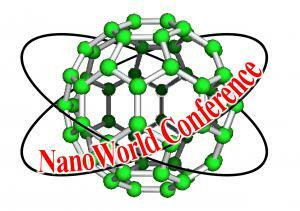 This report provides in depth study of “3D Animation Software Market” using SWOT analysis i.e. Strength, Weakness, Opportunities and Threat to the organization. The 3D Animation Software Market report also provides an in-depth survey of key players in the market which is based on the various objectives of an organization such as profiling, the product outline, the quantity of production, required raw material, and the financial health of the organization. 3D Animation Software establish a virtual world in the computer first. The animator usually starts by creating a 3D polygon mesh to manipulate. A mesh typically includes many vertices that are connected by edges and faces, which give the visual appearance of form to a 3D object or 3D environment. Sometimes, the mesh is given an internal digital skeletal structure called an armature that can be used to control the mesh by weighting the vertices. This process is called rigging and can be used in conjunction with keyframes to create movement. SARASOTA, FLORIDA, UNITED STATES, December 27, 2017 /EINPresswire.com/ — Many schools, camps, and organizations hold talents shows because they are entertaining, involve the community, and give citizens an opportunity to show off their unique skills. Jared Hadaway is planning to host his talent show at the local community theater for the city. Hadaway is in the early with planning the talent show for students and residents. A committee is currently being organized consisting of students, parents, and local city leaders. "This committee will be liable for overseeing the planning, promotion, and implementation of the talent show," explains Hadaway. The critical aspect of the talent show has become the fundraising plan. Everything sold at the talent show will go towards the charity the committee chooses. Shirts, food, tickets, and program money will all go towards the charity. Attendees will have the confidence knowing each dollar spent go towards a worthy cause. Another offering to the audience will consist of flowers, ribbons, and other favors that they can give performers. Hadaway hopes all flowers and other gifts become donated by local businesses. "The talent show is a way to bring the community together," adds Hadaway. "Not only the citizens and performers but local businesses and government." Hadaway has already spoken with local theater officials about holding the talent show. Setting a date will be the next priority. "The theater has all the technology and stage room for the show," says Hadaway. "Plus, it can hold hundreds of people in the audience." The talent show will have independent age groups and individual prizes for winners. But Hadaway hopes to have gifts for each participant. Again, these awards expect to become donated from local businesses and citizens. Hadaway has also spoken with students from the local high school about the talent show. The students expressed their excitement to show off their talents to the community, but also help a local charity. "Students would love to show off non-academic skills that they wouldn't be able in a school setting," explains Hadaway. "From performing music to a special skill, all are welcome." Planning a talent show takes months of planning. Hadaway hopes a late spring date will bring more students and attendees out before summer vacations take effect. Because of the months of planning and setting a date for later in the spring season, Hadaway believes students can learn a new talent for the show. These skills and abilities could include magic, musical instruments, or standup comedy. "Allowing enough time for participants to practice their act and will give them more confidence," says Hadaway. "This confidence will help them on show day and their nervousness." Hadaway plans many of the parents will help backstage with some of the younger children. A familiar face will assist in hindering stage freight before a child goes on stage. "Practice makes perfect," adds Hadaway. "I know setting a date for later in the year will help everyone involved. And it gives the committee plenty of time to promote." Once Hadaway sets a date and has the local theater confirmed, flyers will become available to various locations in the city. These areas include the schools, shopping plazas, and government offices. The last aspect of planning is choosing a charity. The committee will decide, and all attendees will know the money will entirely become donated to the cause. "There are so many charities and organizations that could use the help," says Hadaway. "I wouldn't be surprised if we choose more than one charity and split the funds. Every dollar will help." In the end, Hadaway believes the community will come continue to support the participants. 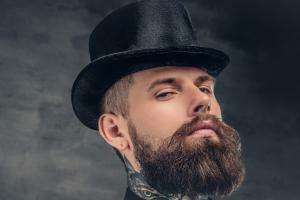 He also believes that some participants could turn some heads and lead to further opportunities. Mental Health Watchdog relaunches campaign to stop the unjust Baker Acting of children in response to the involuntary examinations of over 32,000 kids. The Florida chapter of CCHR, a non-profit mental health watchdog that exposes human rights violations and is dedicated to the protection of children, applauded state lawmakers earlier this year when the mental health law was amended to afford better protection for children who have been sent for involuntary psychiatric examination. This law commonly referred to as the Baker Act, allows a child to be taken into custody and transported by law enforcement to a psychiatric facility without parental knowledge or consent. Until recently once sent, a child could be detained for up to 72 hours for psychiatric examination. The amendment to the Baker Act now requires that the initial examination to determine if the child meets the criteria to be held under the law be initiated within 12 hours after the child’s arrival at a receiving facility. 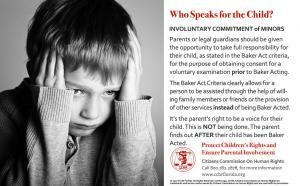 Originally launched in late 2015 with the purpose of stopping the unjust Baker Acting of children, the campaign was begun in response to the alarming number of children being sent for involuntary psychiatric examination in Florida. The original intent of the Baker Act, named after Maxine Baker, the former State Representative from Miami who sponsored the Act, was to ensure patient rights and prevent abuse, however the Annual Report of Baker Act Data, revealed in March of this year a continuing surge of minor Baker Acts with over 32,000 children Baker Acted in 2016. A primary focus of the campaign is public education and since the launch CCHR has educated close to 160,000 families on their rights under the mental health law. Anyone living in Florida who is interested in protecting children from abusive Baker Acting may obtain more information on this campaign by contacting CCHR at 727-442-8820 or visiting the center at 109 N. Fort Harrison Ave in Clearwater, Florida.